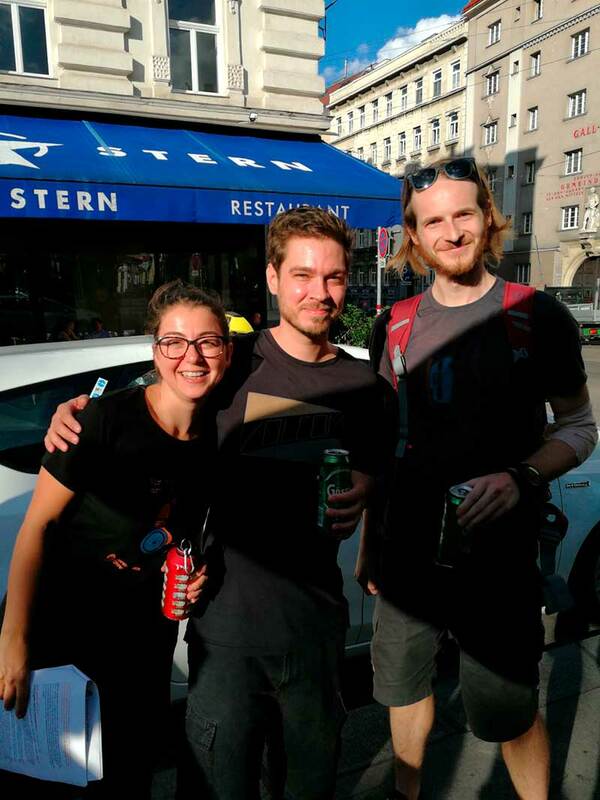 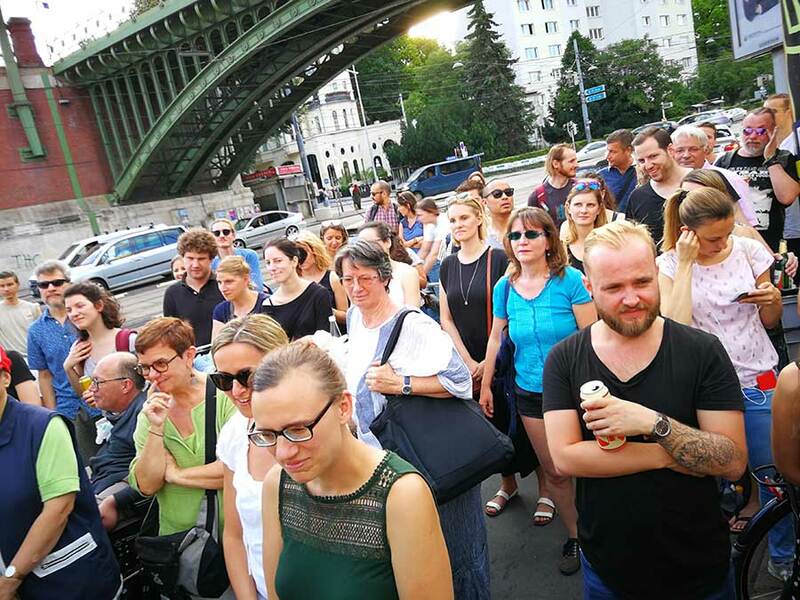 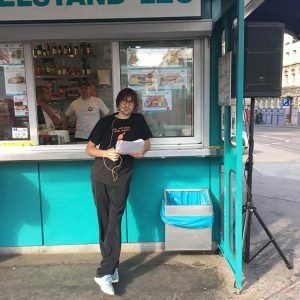 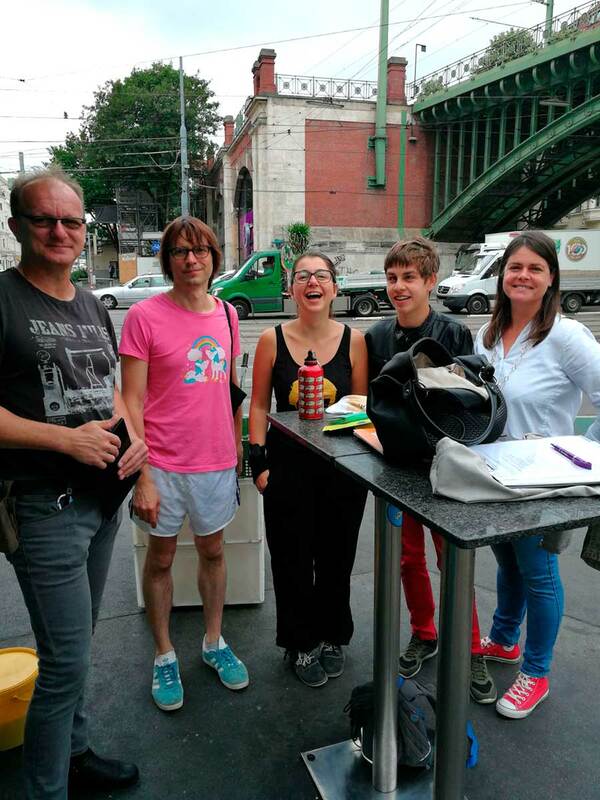 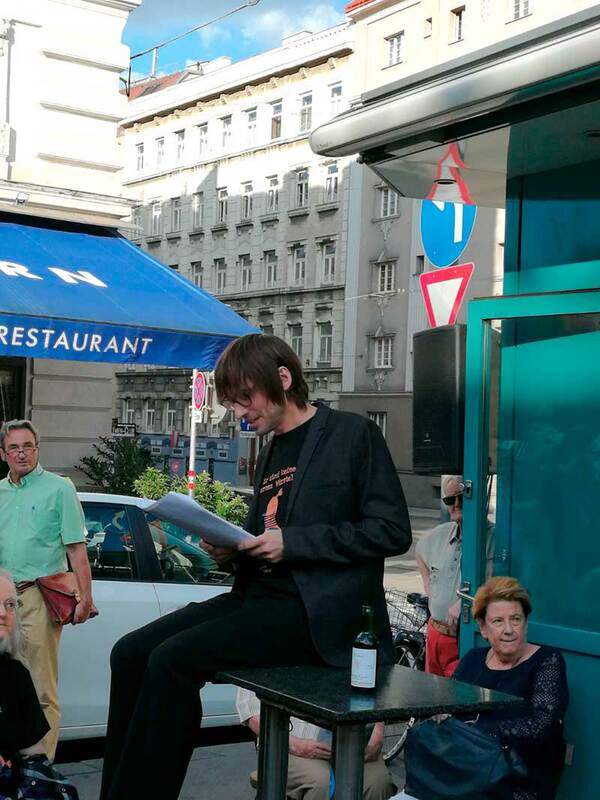 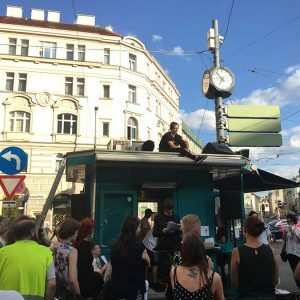 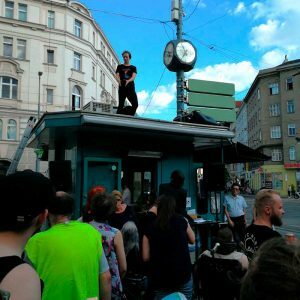 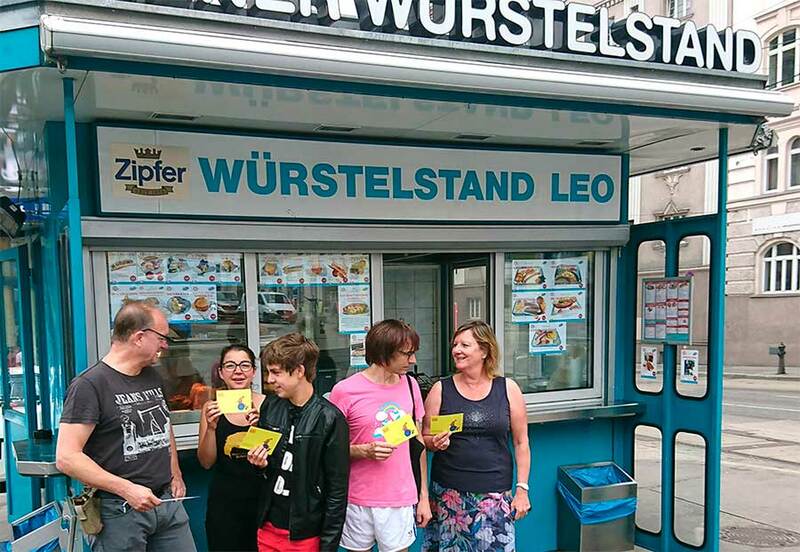 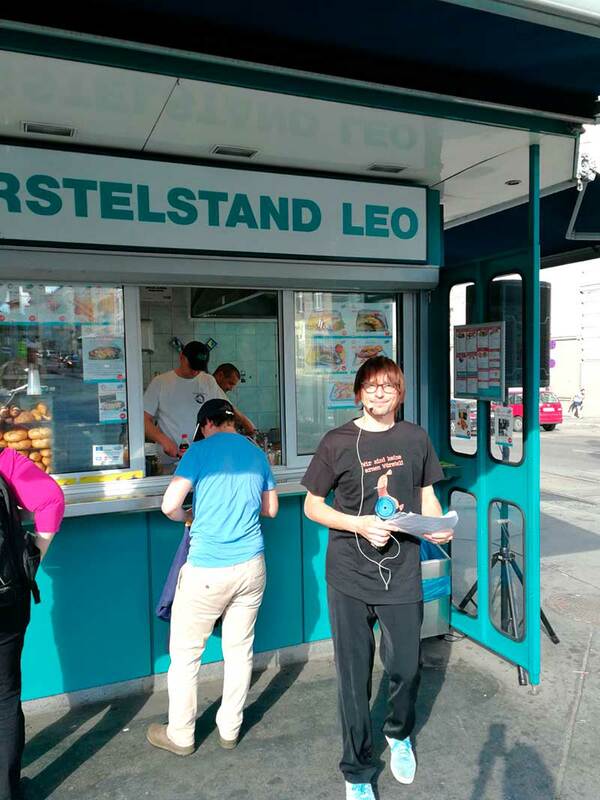 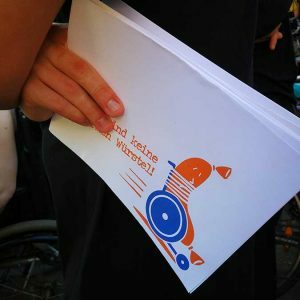 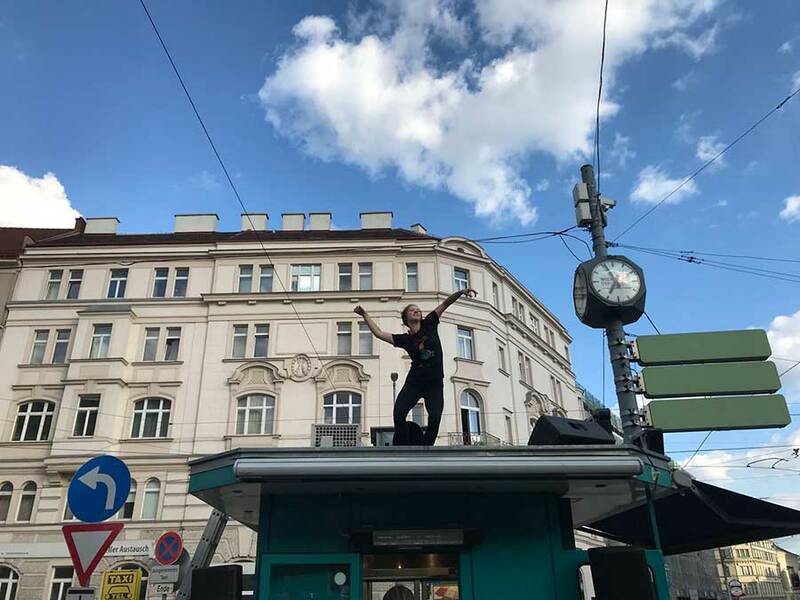 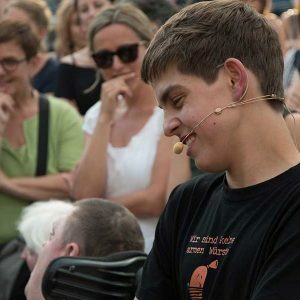 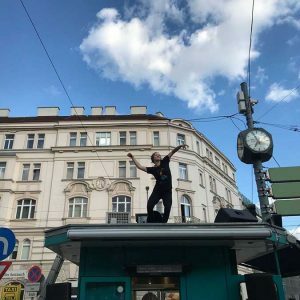 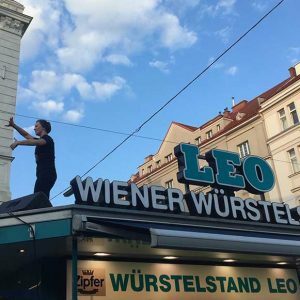 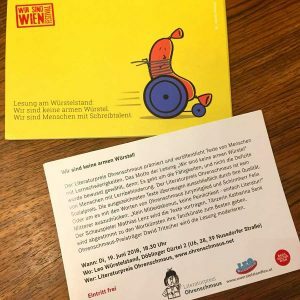 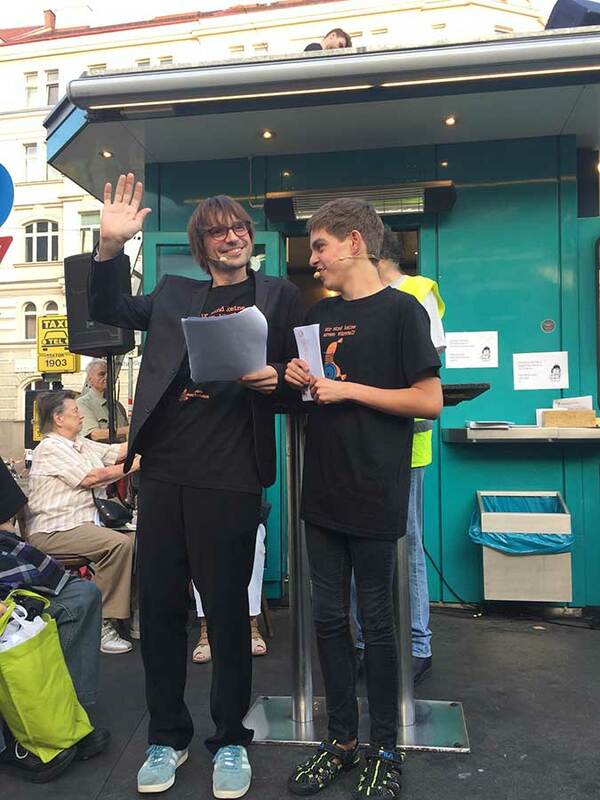 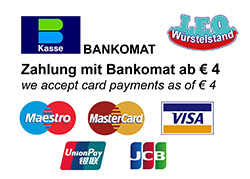 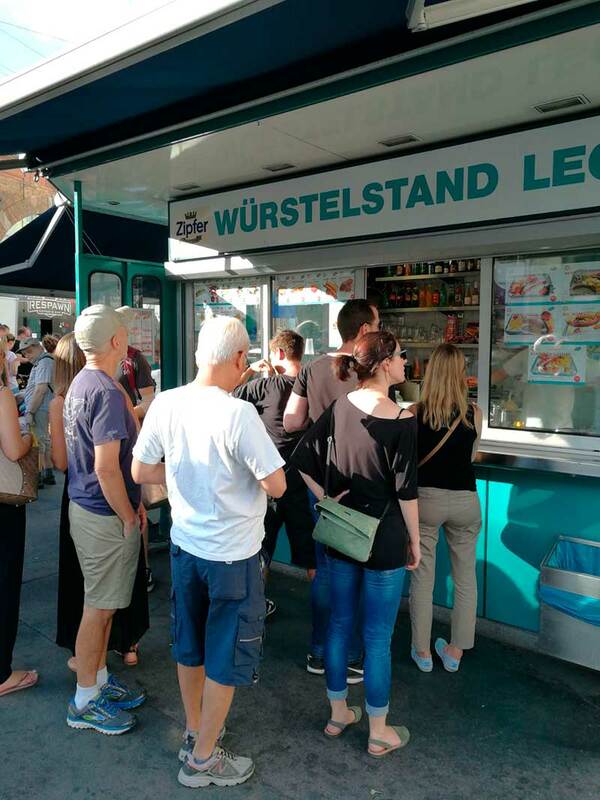 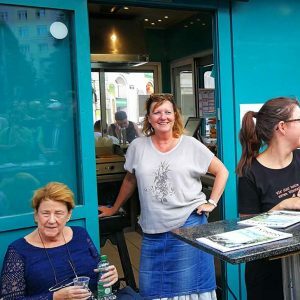 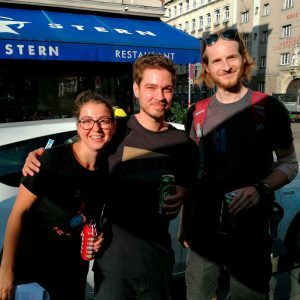 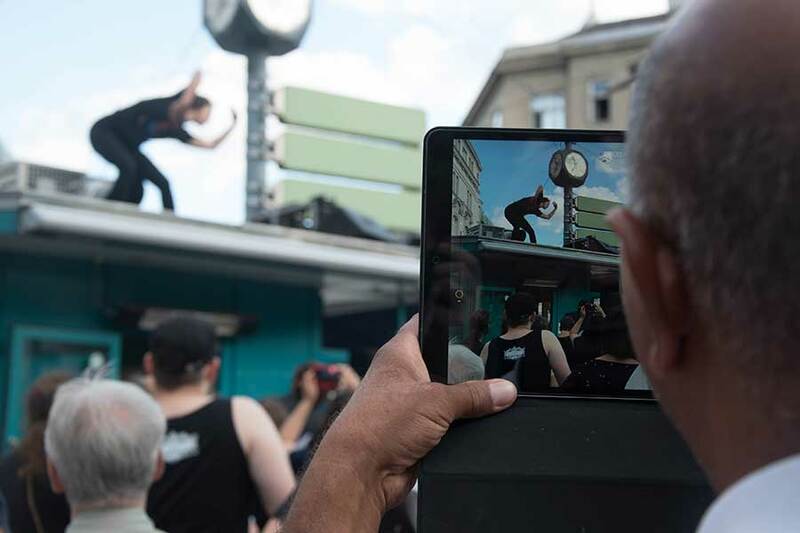 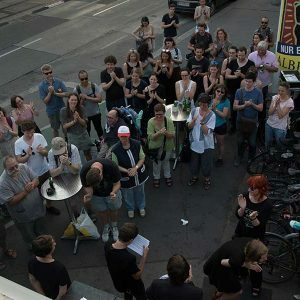 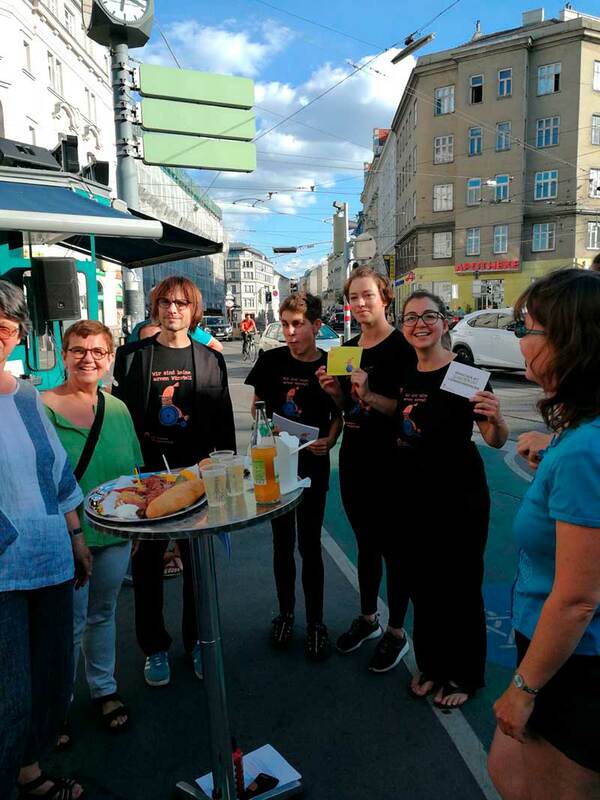 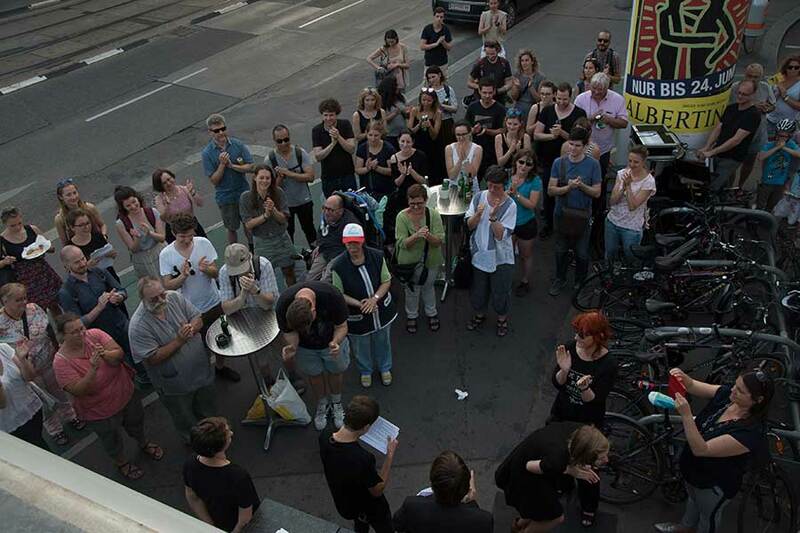 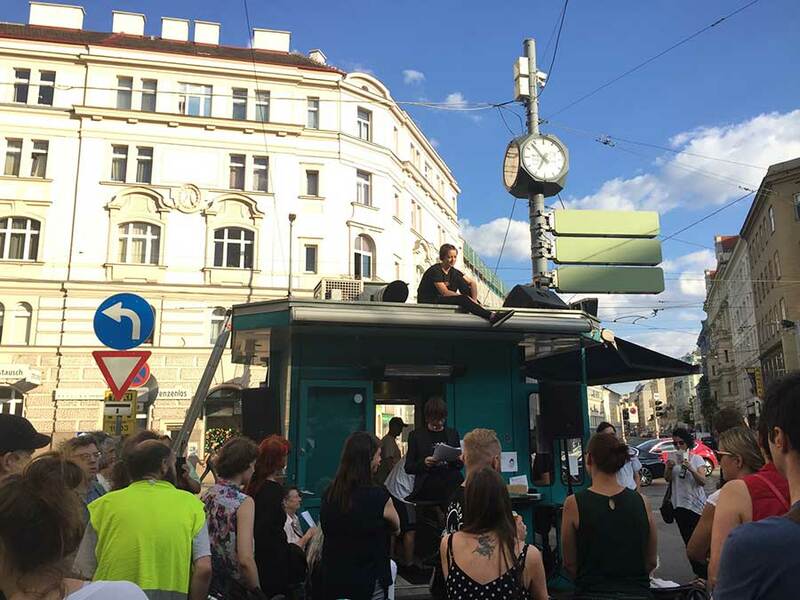 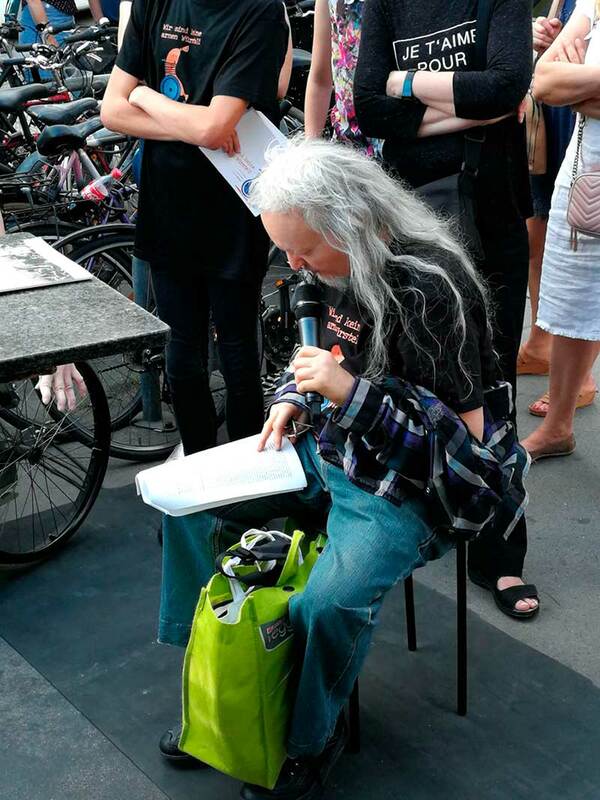 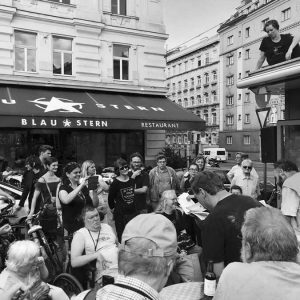 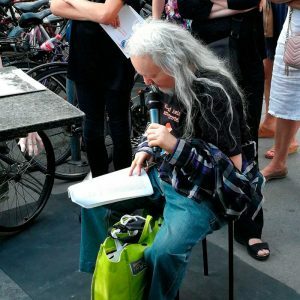 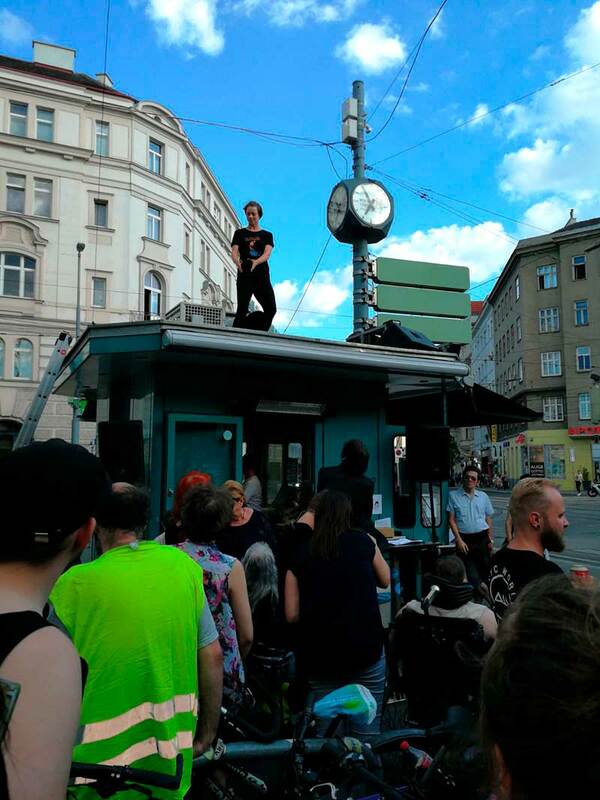 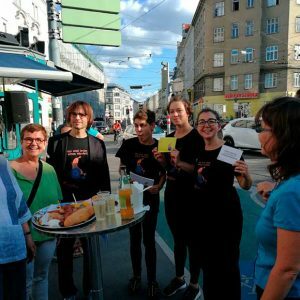 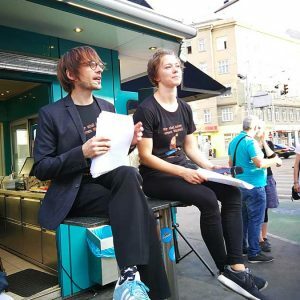 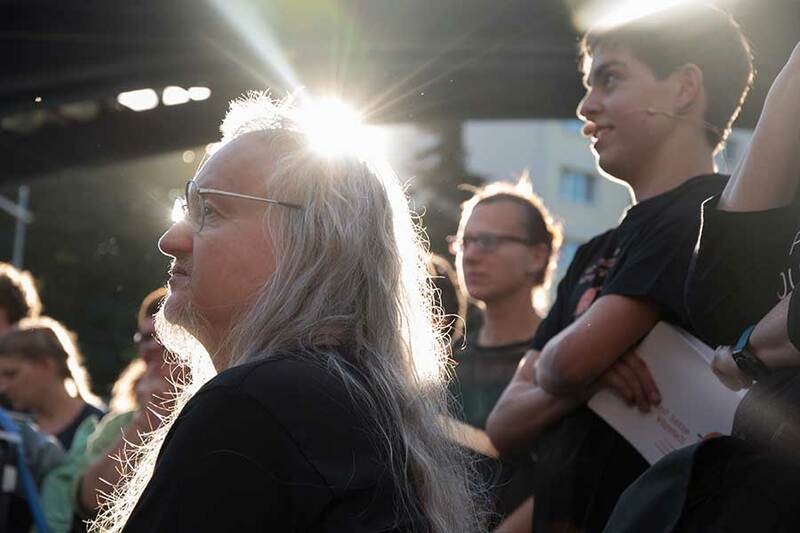 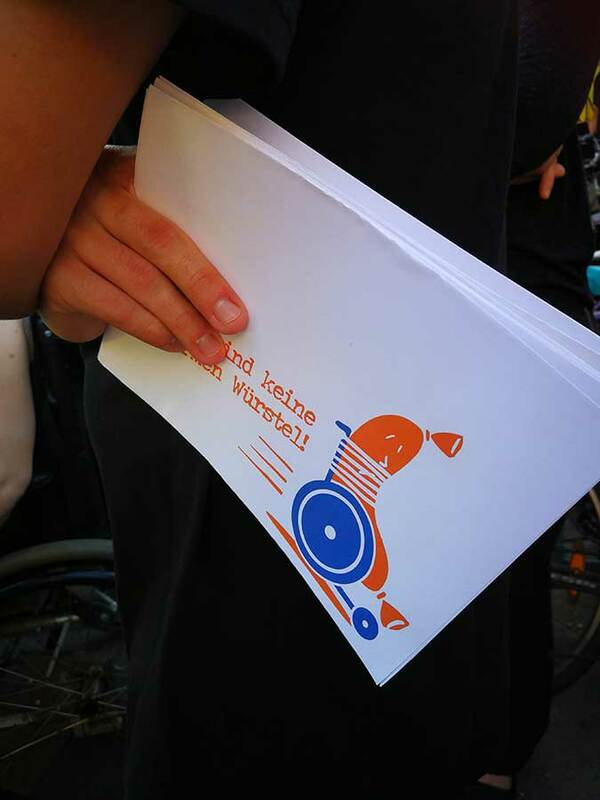 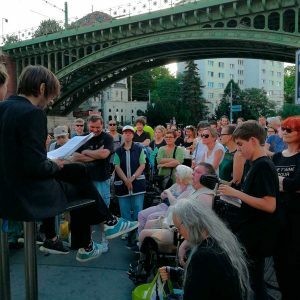 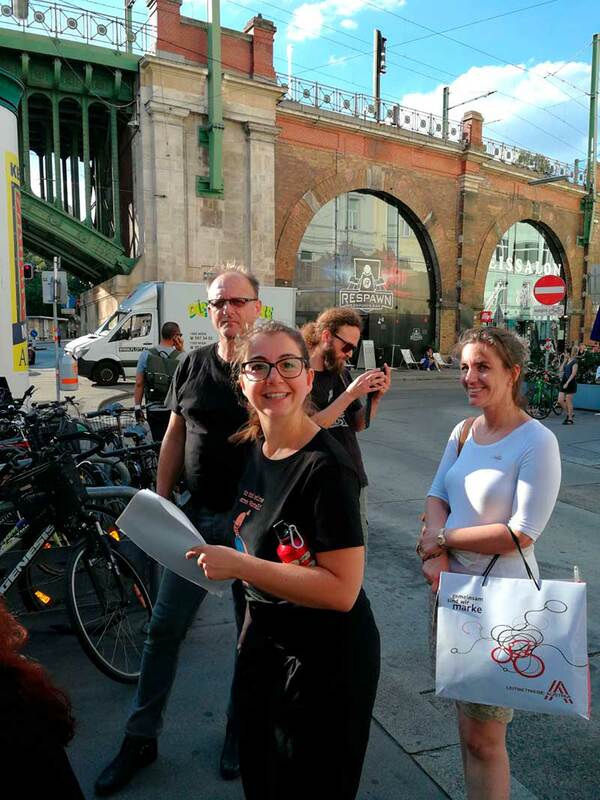 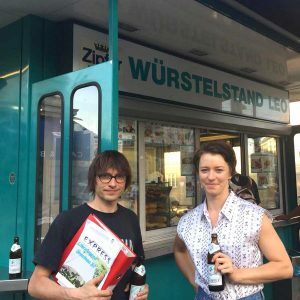 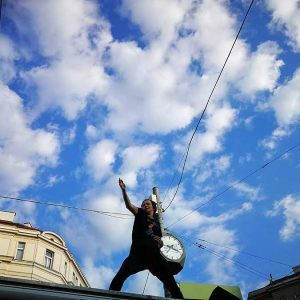 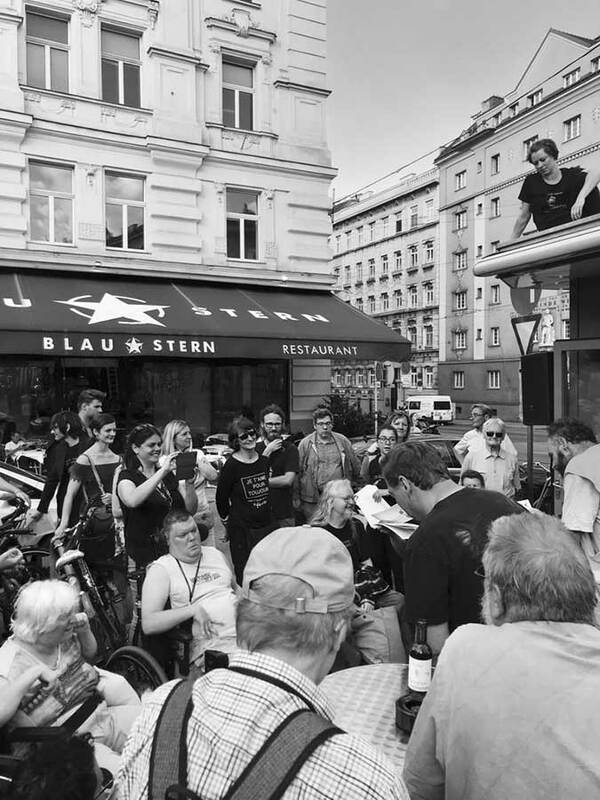 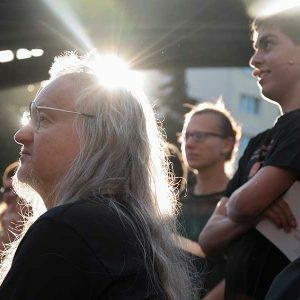 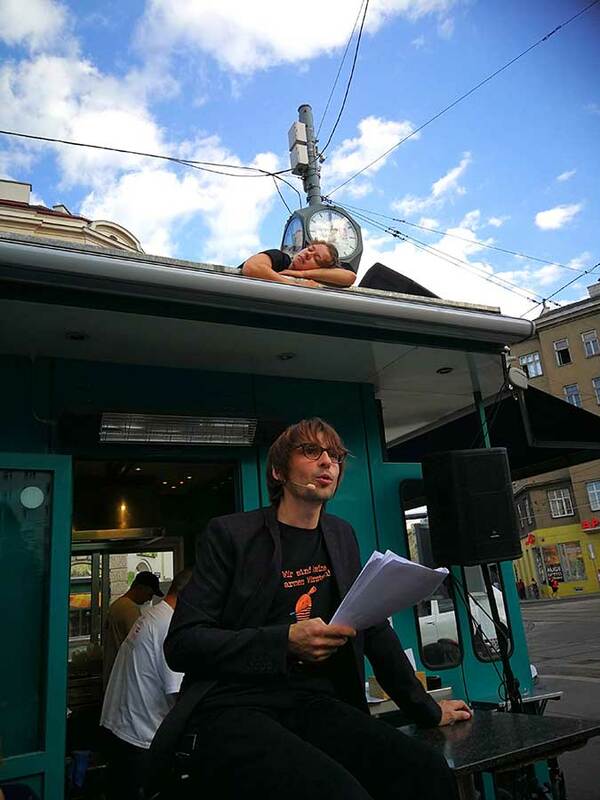 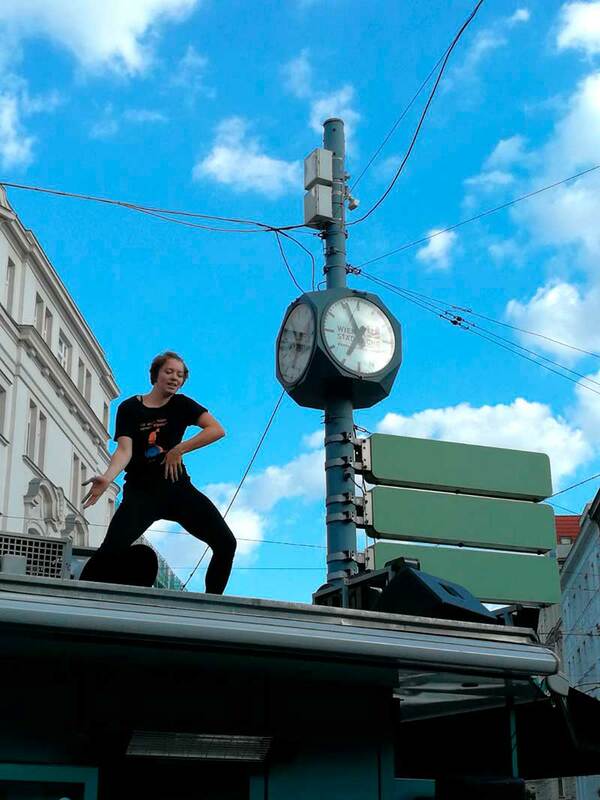 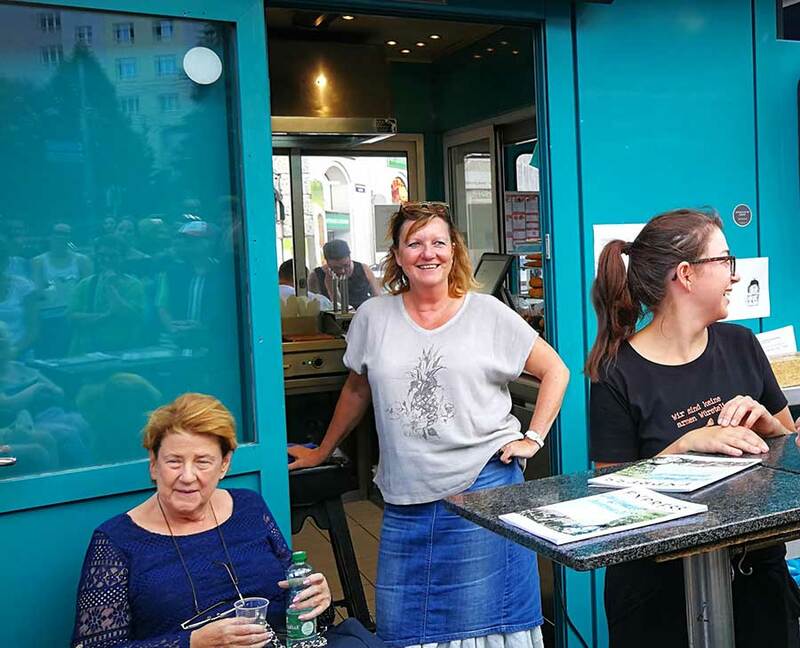 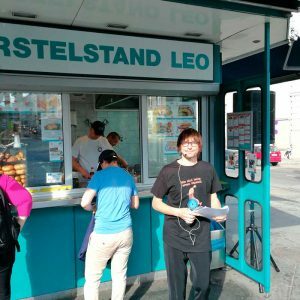 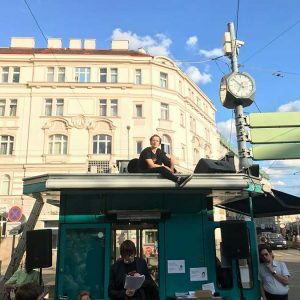 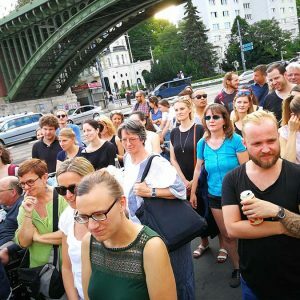 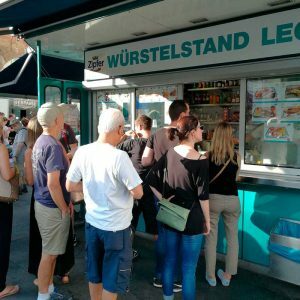 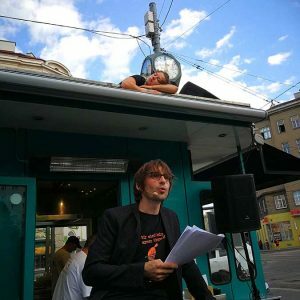 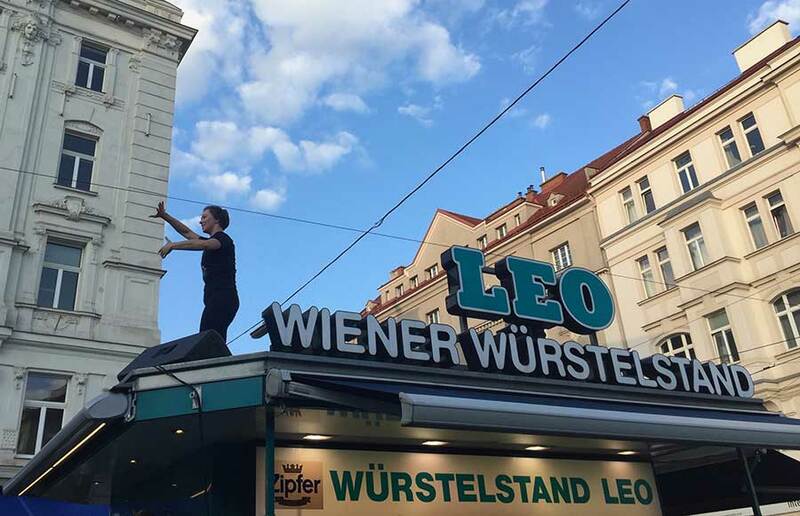 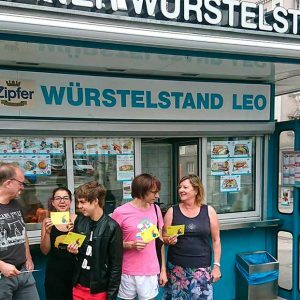 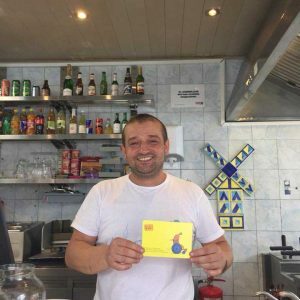 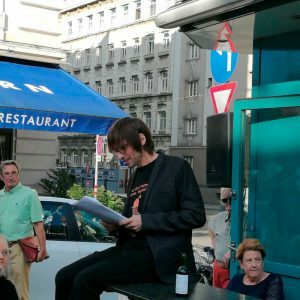 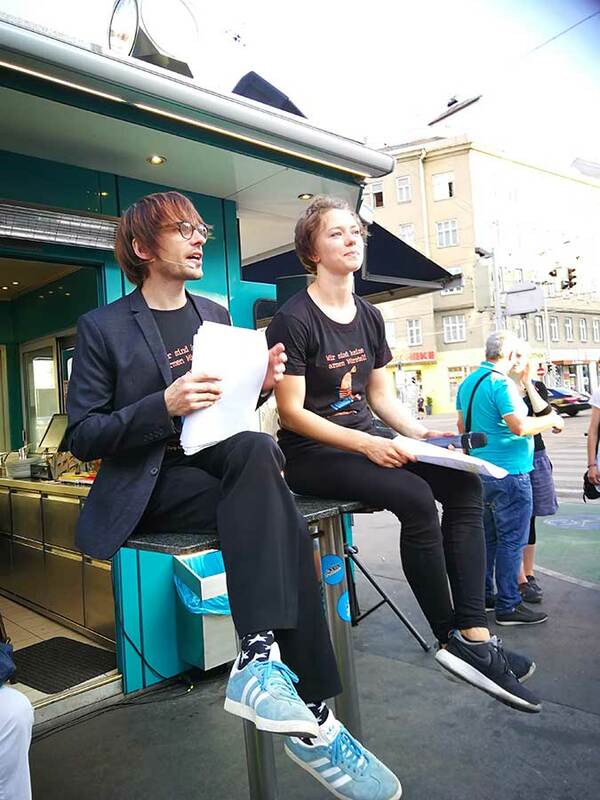 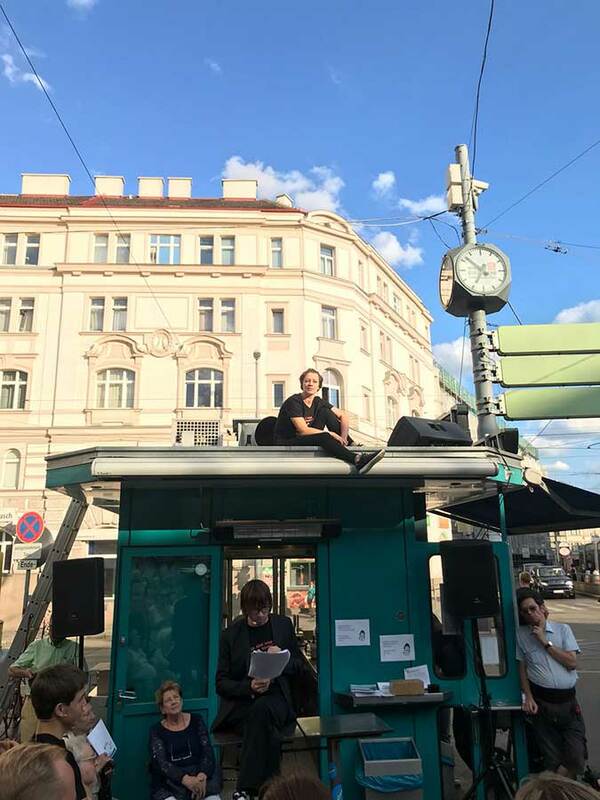 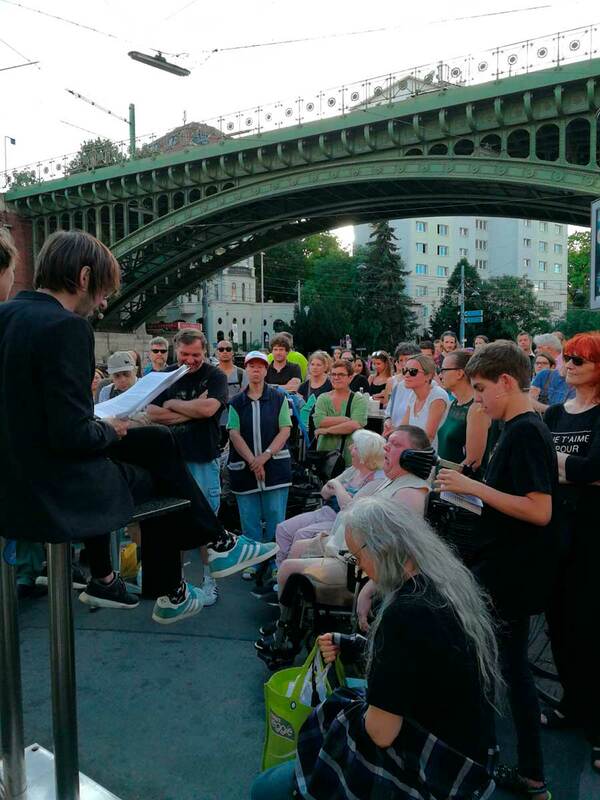 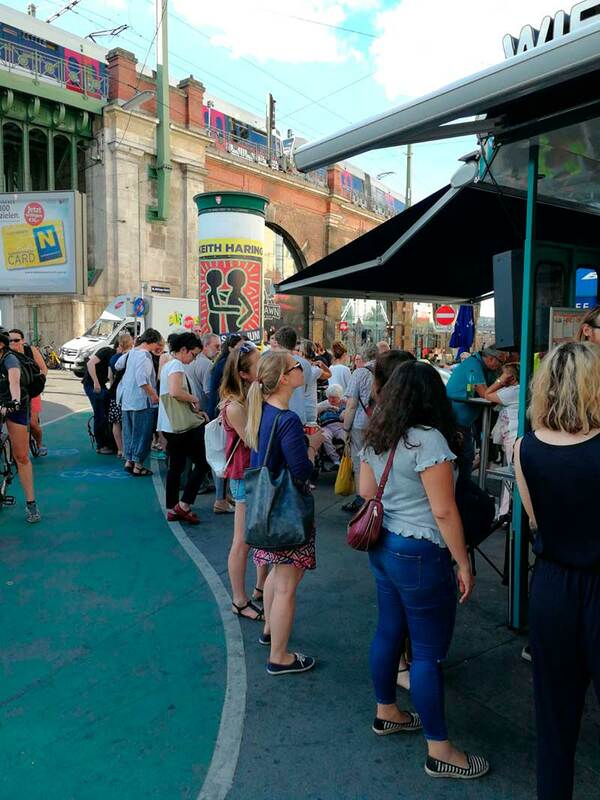 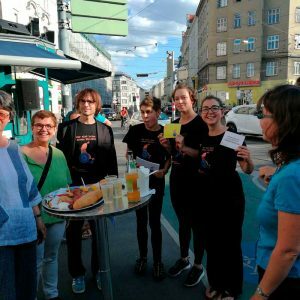 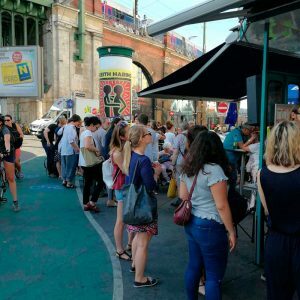 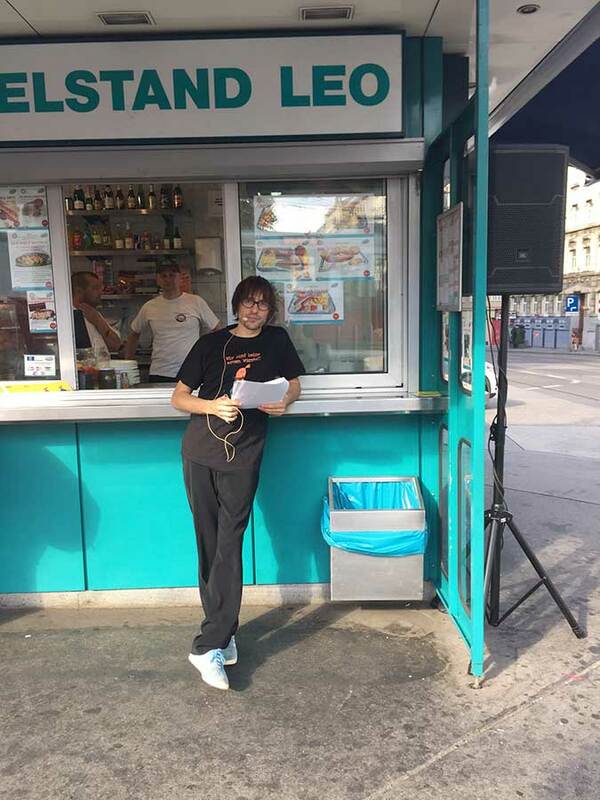 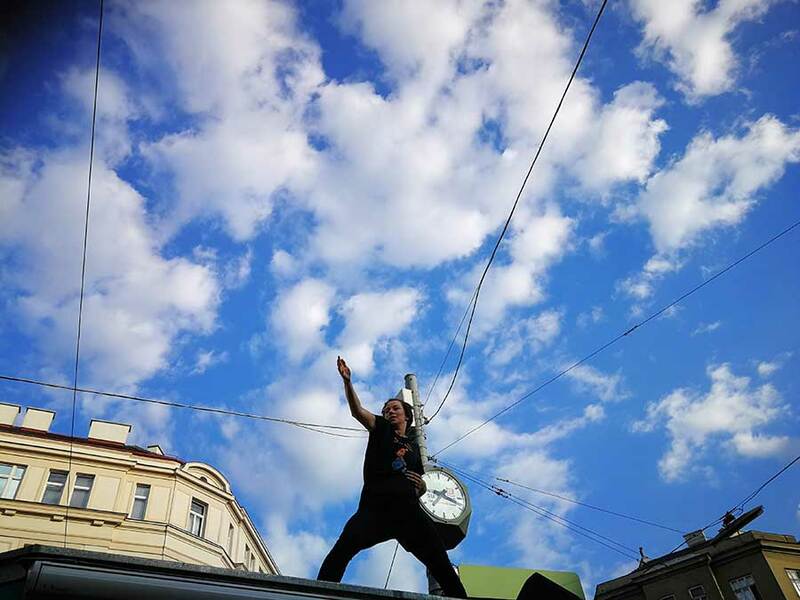 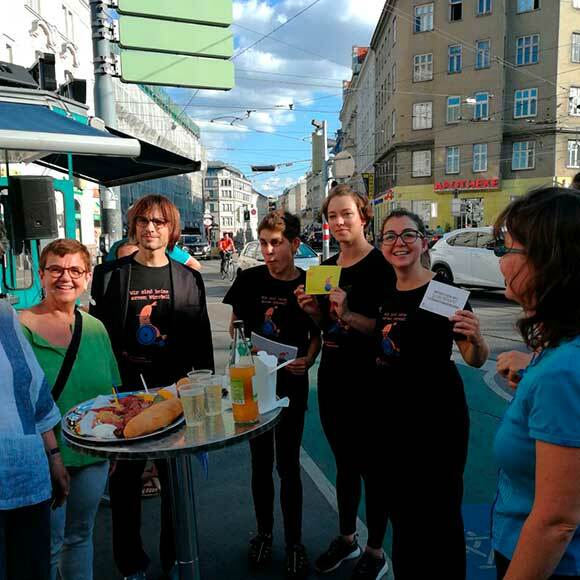 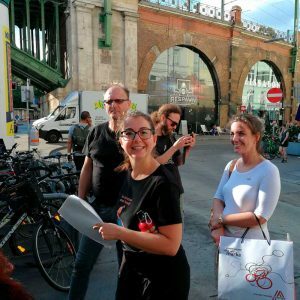 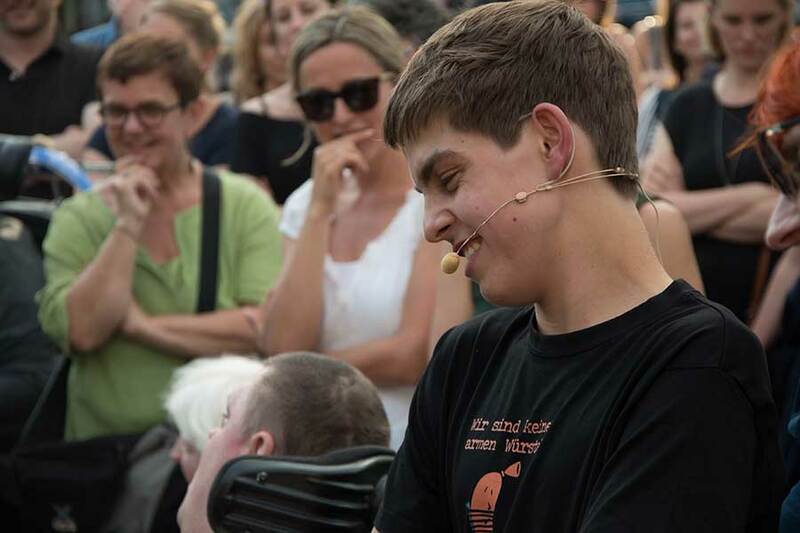 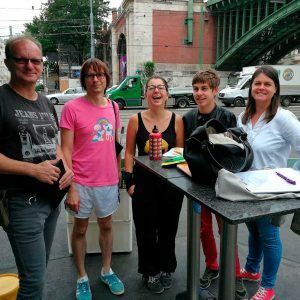 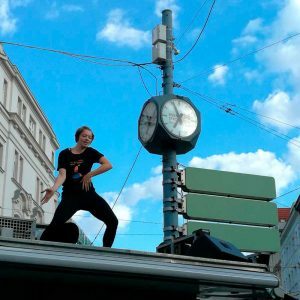 Literature at the Wurstelstand – with dance, organized by the “Literaturpreis Ohrenschmaus” on 19th June 2018. 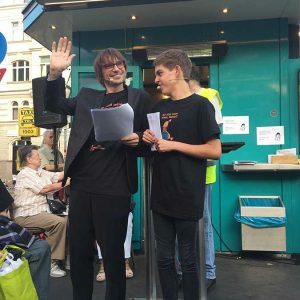 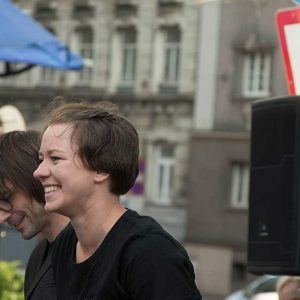 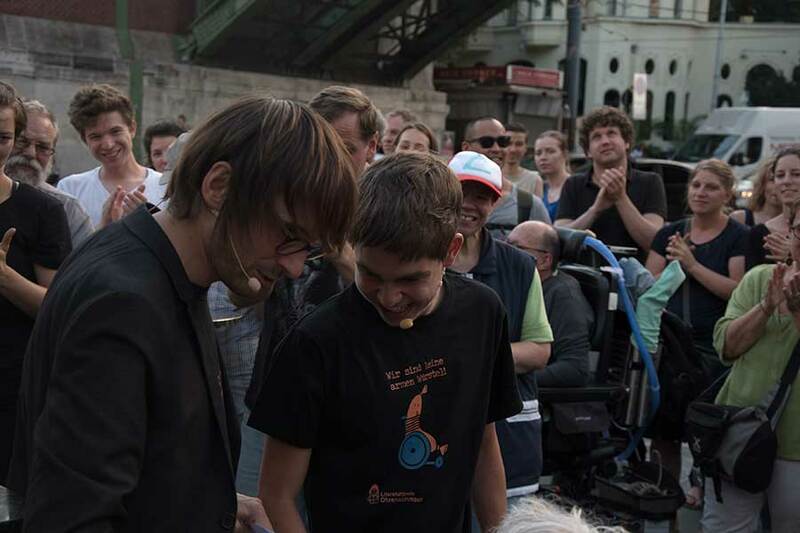 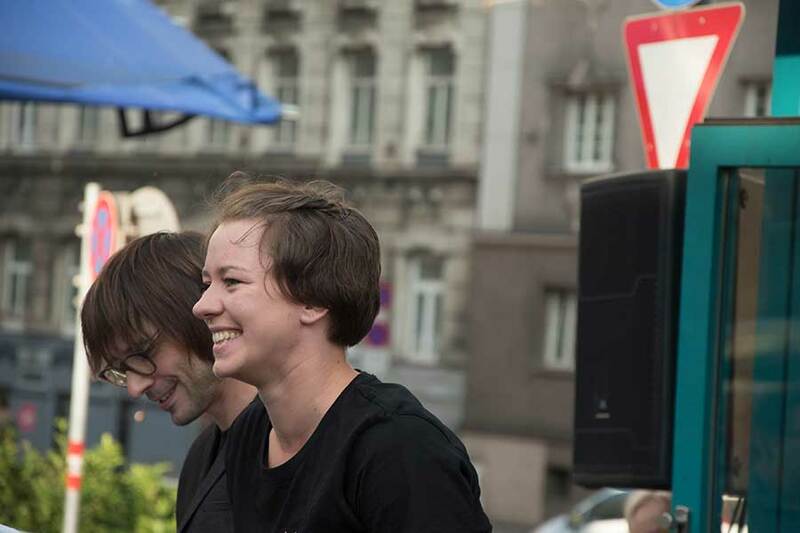 Actor Mathias Lenz, dancer Katharina Senk and laureate David Tritscher performed at this event. 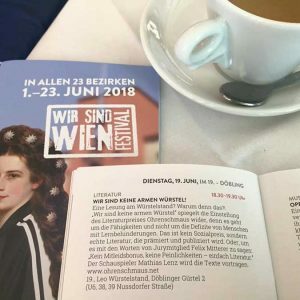 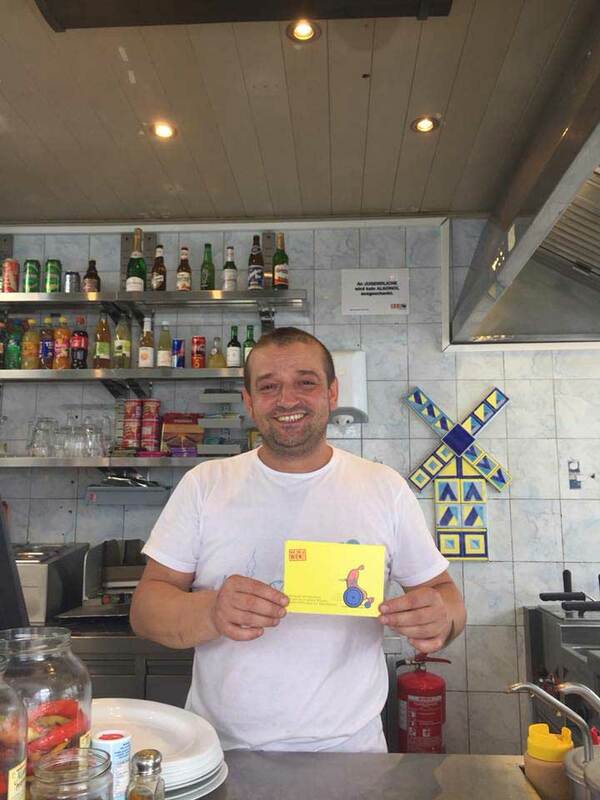 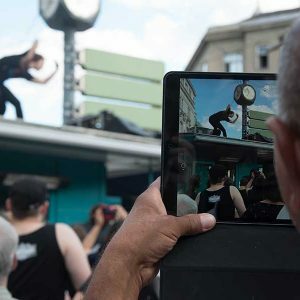 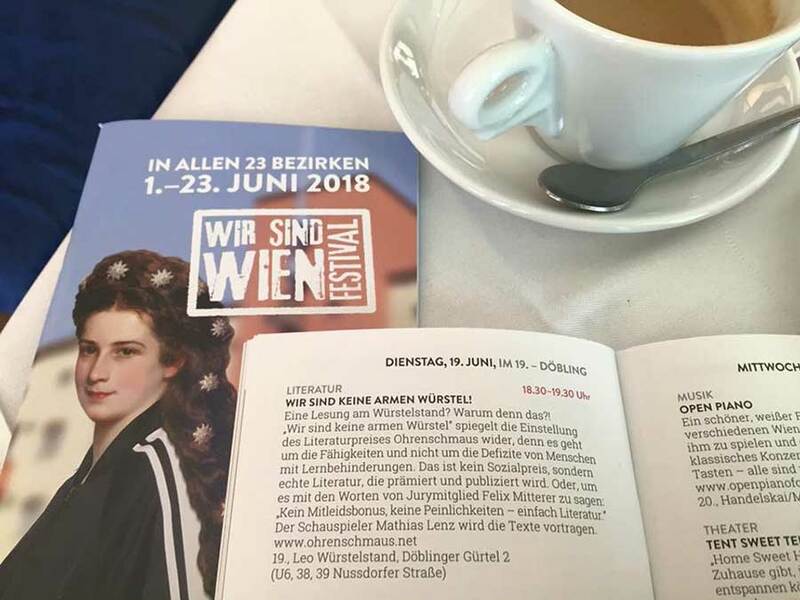 Within the frame of the festival WIR SIND WIEN.FESTIVAL DER BEZIRKE .